WHITE PE0301 is a white low density polyethylene based masterbatch containing premium TiO2 and calcium carbonate filler without any content of fluorescence whitener. This product is designed for use in economy films, especially for HDPE film products. Typical final products are thin shopping bags and geomembrane. The calcium carbonate filler offers the anti-blocking property for ease of film mouth opening. WHITE PE0301 is designed for ease of dispersion and is therefore suitable for direct addition and mixing with plastic resins in mixer, free from pollution problem caused by pigment. WHITE PE0301 is designed for LDPE, HDPE, LLDPE and PP. 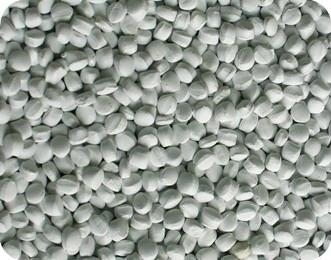 WHITE PE0301is supplied in regular pellet form packed in 25kg bags. It should be stored in a dry place.